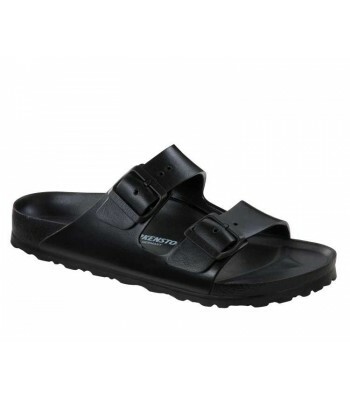 These glossy sandals from Birkenstock were designed with comfort in mind. They feature a moulded footbed to fit the natural curve of your foot with added arch support and heel cup for maximum comfort. Adjustable straps ensure flexibilty whilst on the move. This model is a narrow fit. Made with EVA, they are hard-wearing. Furthermore, they're lightweight, durable and waterproof.